Robin Rhodes, Mountains Region Director- I hope you are having a great school year! I'm very excited about the Mountain Region PD scheduled for TODAY! 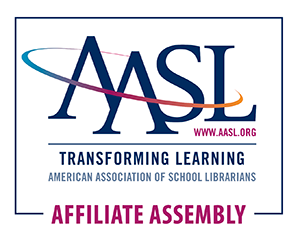 I'm looking forward to meeting and learning from new media friends and working with Jenny Umbarger to become more proficient in the AASL standards. It helps everyone when we share good ideas and info. I'd like to give a shout out to Lori Eggers from East Burke Middle School, who offered this recommendation, " I have just recently started using a website (https://www.commonsense.org/education/scope-and-sequence). They have just added new Digital Citizenship lesson for middle school. They had lessons for elementary and I think High school is coming. I did one this last week with 6th grade and thought it went well. I think my 6th graders enjoyed the lessons and the teachers said they even learned some things too. Everything is created for you. I thought they were easy to use. It gives you short videos, slide presentations, google docs to share with the students and even a quiz if you want them to do that. The lessons plans even tell you what to say to the students. Great resource!!". Thank you, Lori! I'd love to share YOUR ideas and suggestions, too. Send them my way and I'll see to it! And be sure to check out the awesome lessons that my Wilkes County media peeps put together for one of our district media meetings: WCS K-5 Lessons, WCS 6-8 Lessons, WCS 9-12 Lessons. What do you do to make your media center a fun and exciting space? Share your ideas for fighting the RAINY, winter doldrums on this Padlet. Please feel free to contact me- I'm always happy to help any way that I can!